Up until recently, surgical excision (with stitching), electric cautery and cryotherapy (liquid nitrogen freezing) were the only techniques available for removing localised skin lesions. These traditional techniques used in most General Practice clinics often leave scars worse than the lesions they remove. At the moment, these methods are now becoming obsolete. 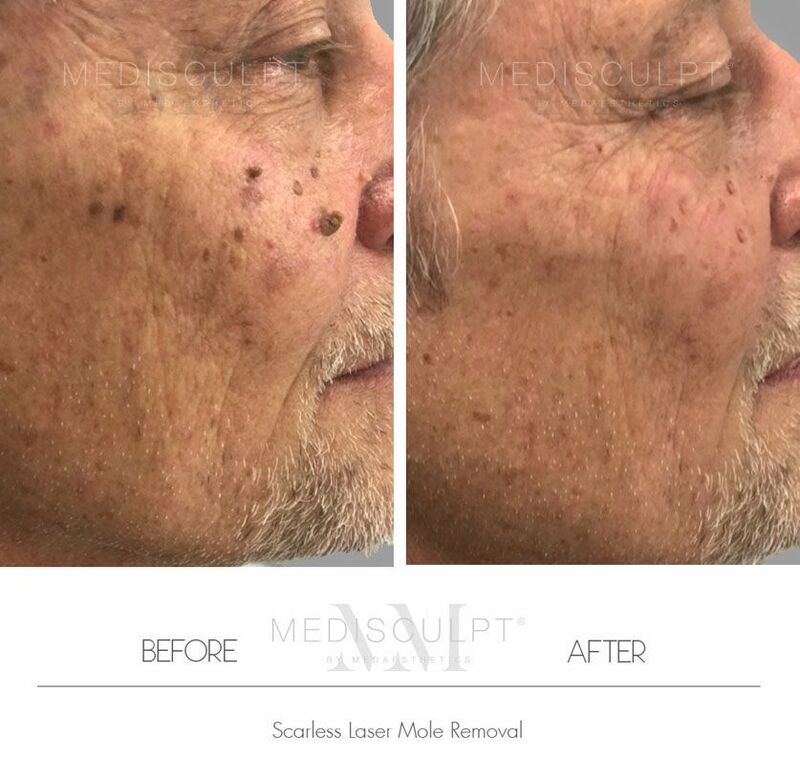 Here at Medisculpt, we use the revolutionary Radio-wave Surgery, Q-switched Nd: YAG Laser, CO2 and Erbium Glass precision cutting Lasers to treat a whole spectrum of benign skin lesions in as little as a few seconds. Moreover, this process does not require any cutting or stitching. 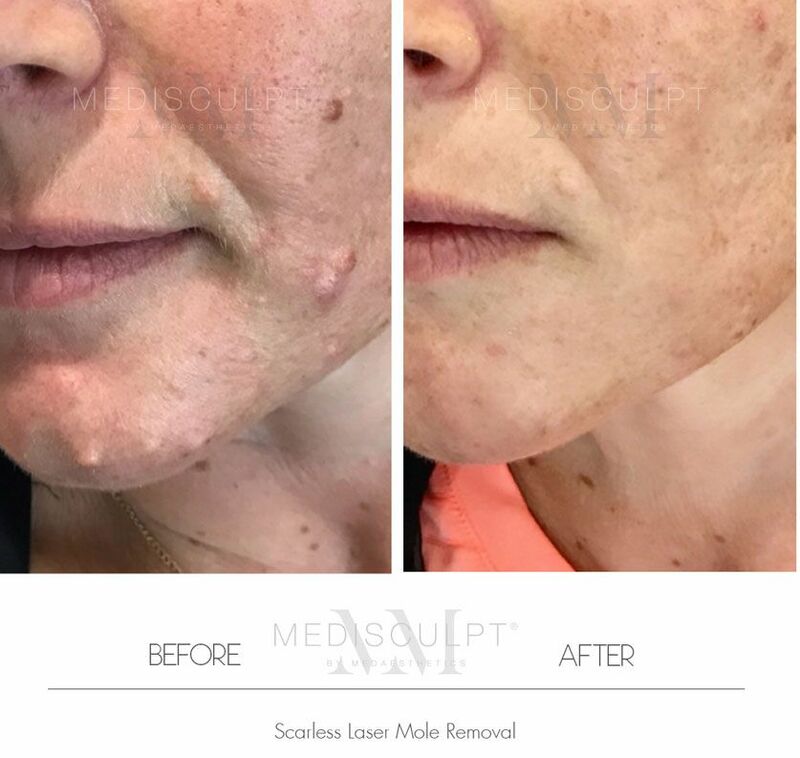 Medisculpt™ is one of the few practices in Australia to offer the entire spectrum of ablative and non-ablative lasers for treating most skin lesions under one roof. 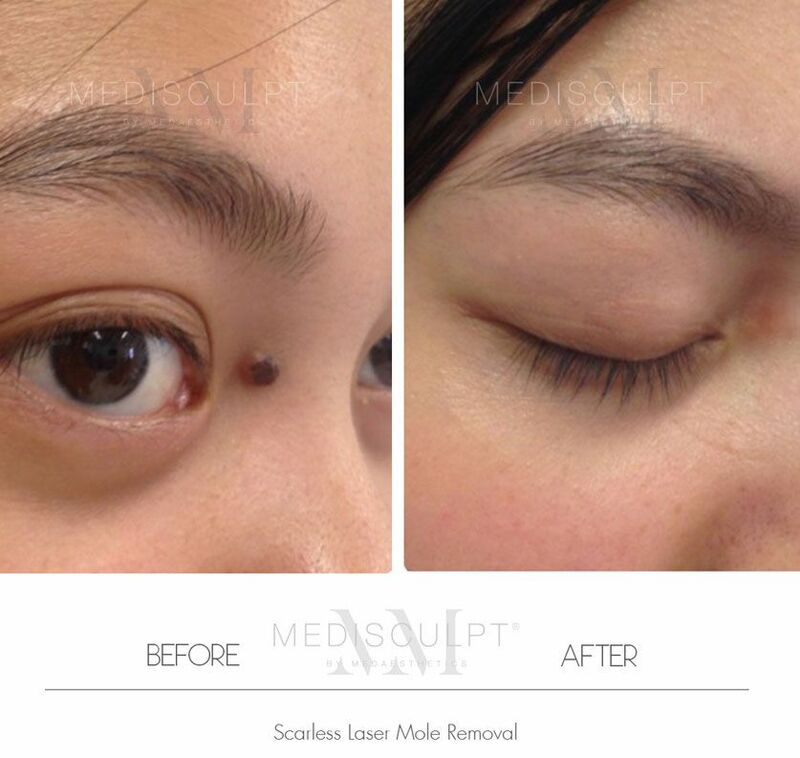 Our doctors at Medisculpt™ have successfully removed over 10,000 moles and skin tags in the previous few years alone. When choosing your treatment provider, it is essential that you choose a doctor who is experienced in dermatological laser and surgical procedures. This will ensure that the risk of scarring is minimised. 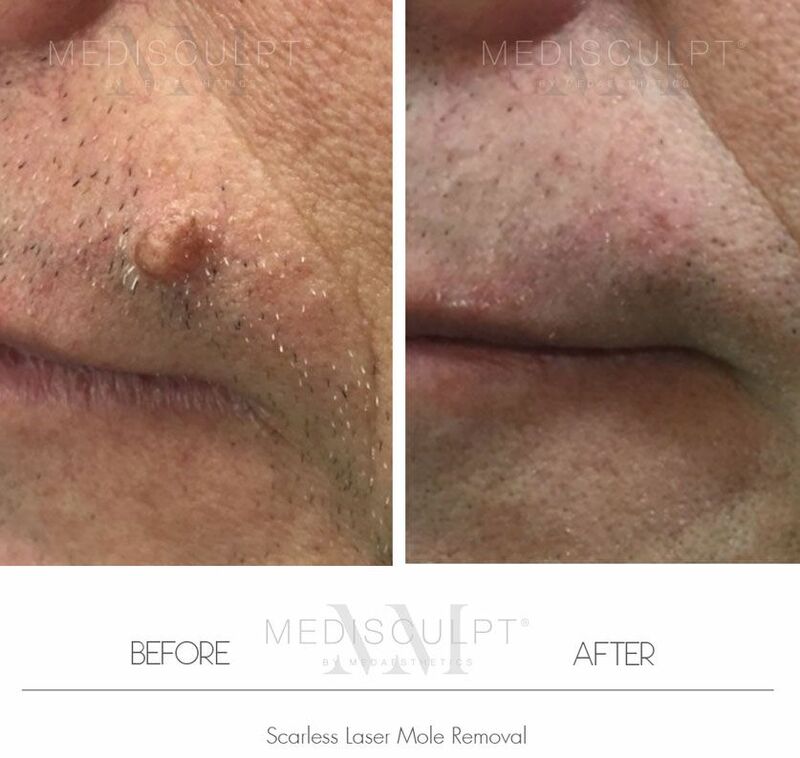 At Medisculpt®, we use the latest Radio-wave surgery, CO2 and Erbium-glass laser ablation for removing localised, benign skin lesions (after clinically ruling out any risk of skin cancer). The lesion is first numbed and then painlessly shaved off within seconds. The CO2 Laser or Radio-wave device seals off the blood vessels as it shaves away the lesion, entailing little or no bleeding. Since the skin is not cut as such, no suturing is required. The duration of this procedure depends upon the number of moles (lesions) needed to be removed in one session. People with more than 10 moles (lesions) may require up to 40 minutes for this procedure. For those with 30 or more moles, we recommend removing the lesions in 2 or 3 separate sessions instead of one. What is the recovery like following the surgery? Most people tolerate this treatment exceptionally well. Patients can go home straight after the surgery and do not require prolonged post-surgical hospital admission or monitoring. 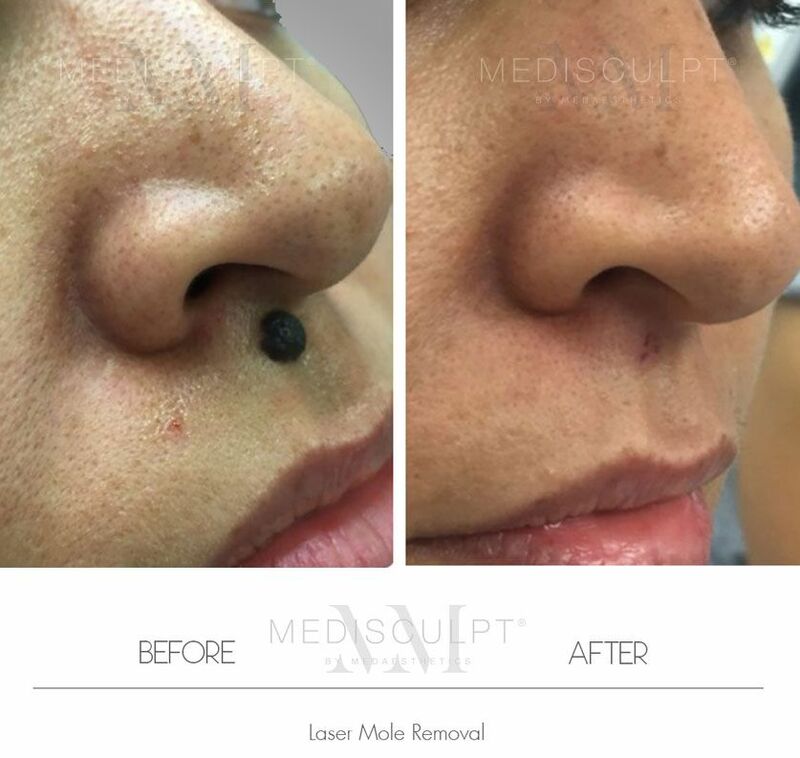 Will the mole be completely removed after one session? All raised and colourless lesions are usually removed in one session. 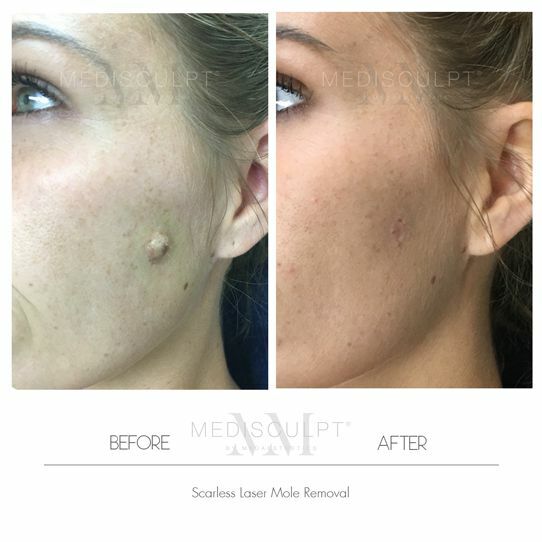 Most raised and pigmented moles may also be removed in one session. However, some black raised moles and most flat moles (freckles) require more than one treatment session to remove. In the majority of cases, no scarring occurs at all. Initial healing will take approximately 7 days. The patient may notice that the treated area can remain pinkish-red in appearance for several weeks post-surgery. (Make-up can be used to easily conceal this). Over the coming weeks, the pinkness of the skin will naturally fade. 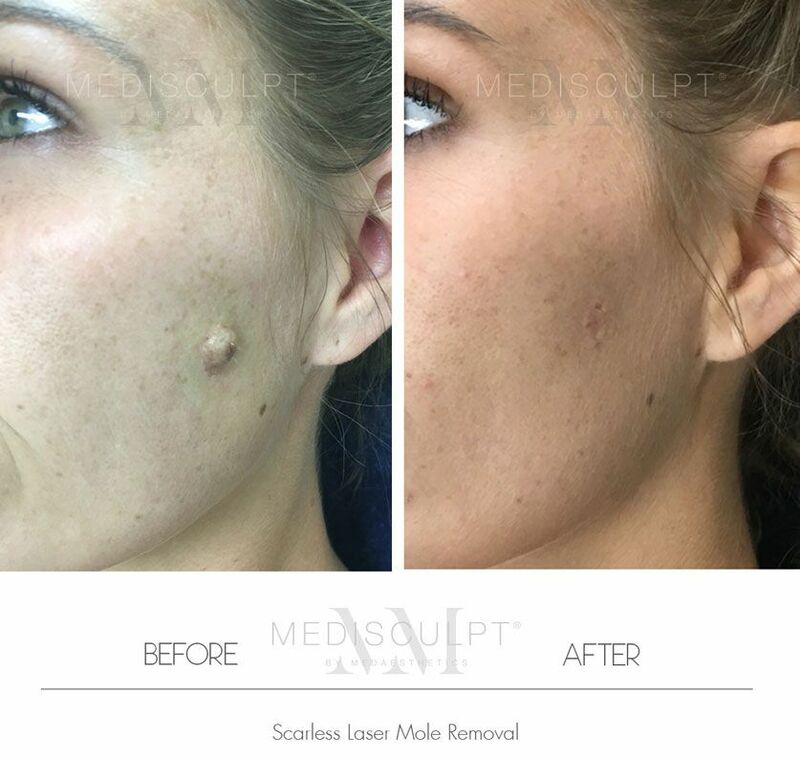 At Medisculpt™, we have the most extensive range of Fractional CO2 Lasers to help reduce any type of scarring, whether related to a surgery or trauma. Is it likely for the mole to return? In the majority of cases, any lesion removed from the skin does not return or reappear. However, in very few cases, the body may regrow some of the tissue previously removed. 1 or 2 touch-up treatments are sufficient in correcting this. The cosmetic mole removal is a minor surgical procedure and time off work is usually not required. Most people can return to work on the same day the procedure is performed. However, a medical certificate may be organised if necessary. This will depend upon the size and location of the mole(s) removed. The healing process can take up to a week. After this period of time, light exercise is usually acceptable. What are the potential risks and complications of this procedure? With the correct technique and equipment, the above side effects are immensely rare. I have booked my procedure; how should I prepare for it? Pricing starts from $350 for a single pea size mole and may cost up to $1,000 for 10-15 moles treated in one session. We will be able to provide a better estimate about pricing after a face-to-face consultation.